Chicago! 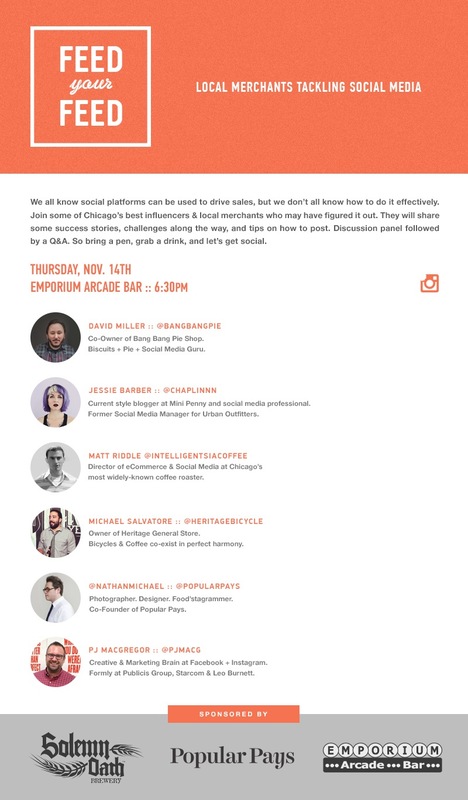 This Thursday, November 14th, I am joining some very talented local business owners on a panel discussion about social media! It will be held at Emporium Arcade Bar at 6:30pm. The event is open to all and beer will be provided from Solemn Oath! RSVP here and I hope to see you!